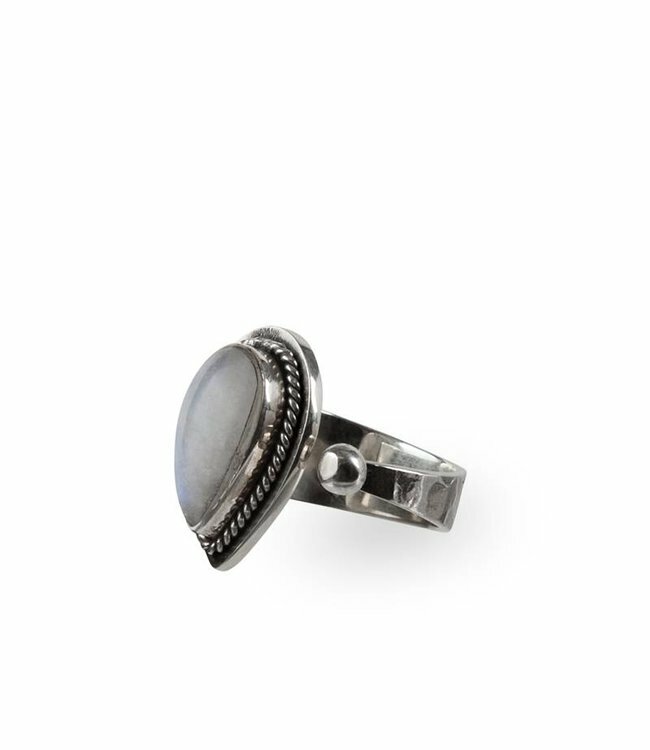 Simple & Chic or Bold and Edgy - it all depends on how you layer your silver jewelry and combine this Silver Sheila Ring. Handcrated of 925 Sterling Silver and finished with hammered detailing. Adjustable in size starting US ringsize 6.5 - 10. Read more..
Besteld voor 17..00u? Dezelfde dag verzonden! This Silver Ring 'Sheila' with hammered detailing is a bold statement piece. Simple & Chic or bold and edgy - it all depends on how you layer your silver jewelry and combine your Sheila Ring. 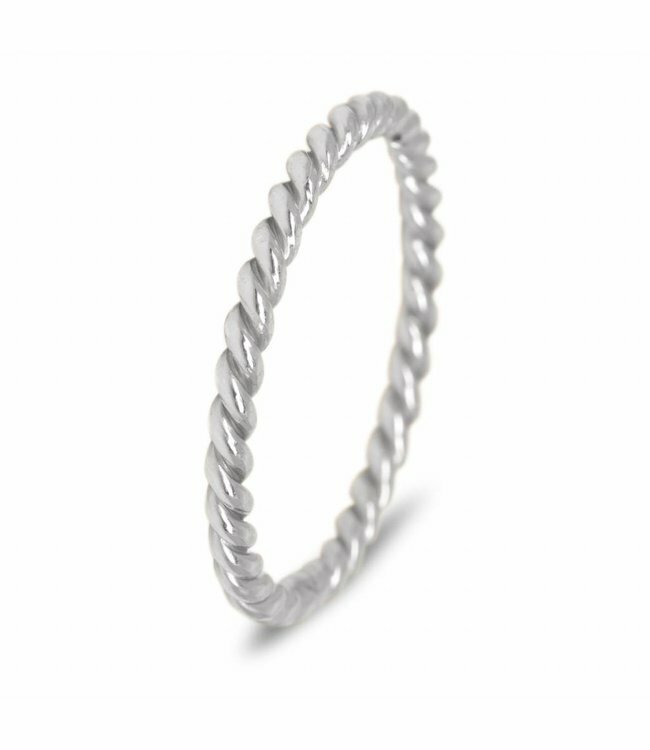 This 925 Sterling Silver Ring handcrafted by true balinese artisians and finished with hammered detailing. The ringband has an adjustable band and fits most sizes. It's fit for a size 18 and can be made smaller and larger in all regular sizing. 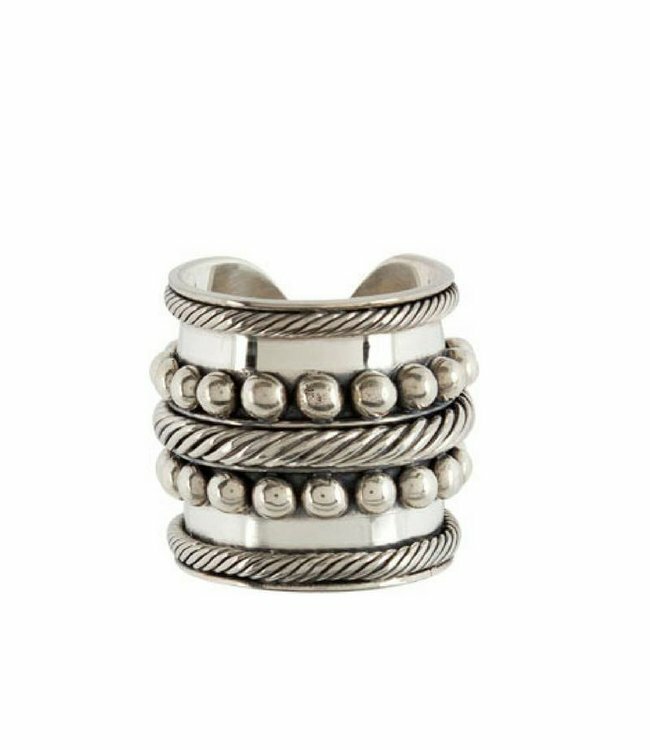 This Silver Statement Ring is part of Route508's first collection which is build on a sense of adventure, freedom and fun. All our accessories are bohemian inspired and handcrafted in Bali. This makes each jewelry piece just as unique as you are. Get this Bold Silver Ring today before 17.00hr and it will be shipped on the same day. This Silver Ring 'Ruby' has a classy design with silver rope.. 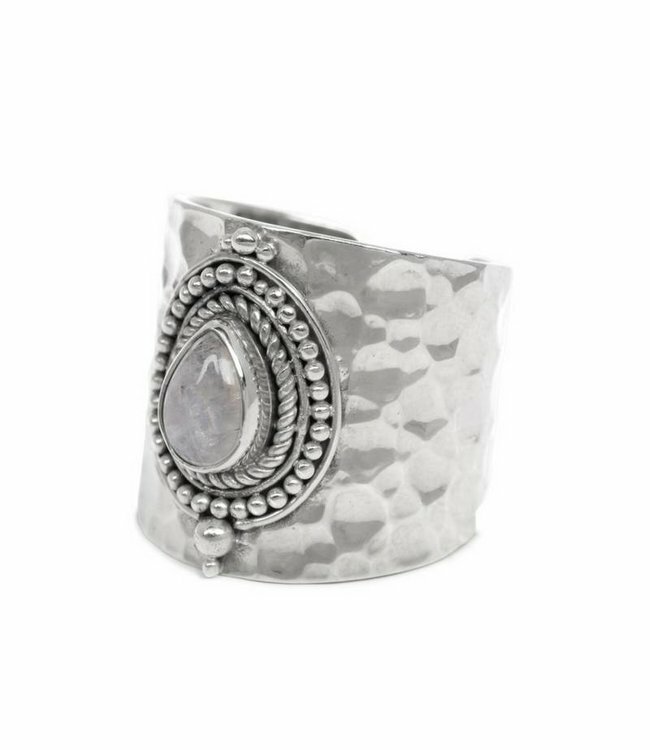 This stylish sterling silver ring with hammered detailing an..